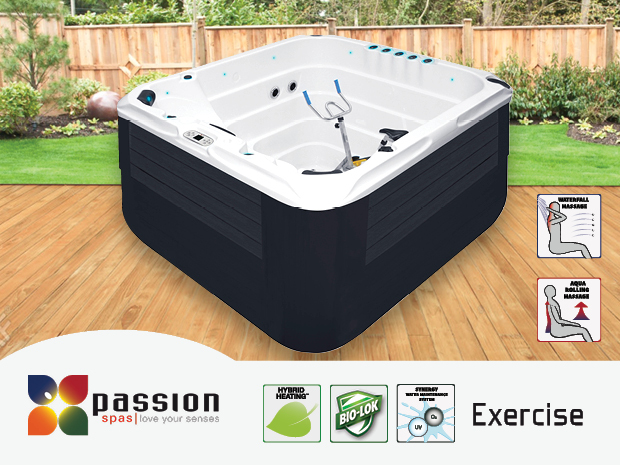 The Exercise Spa is a model specially developed by the Passion Spas design team to be the first Fitness spa in the world! 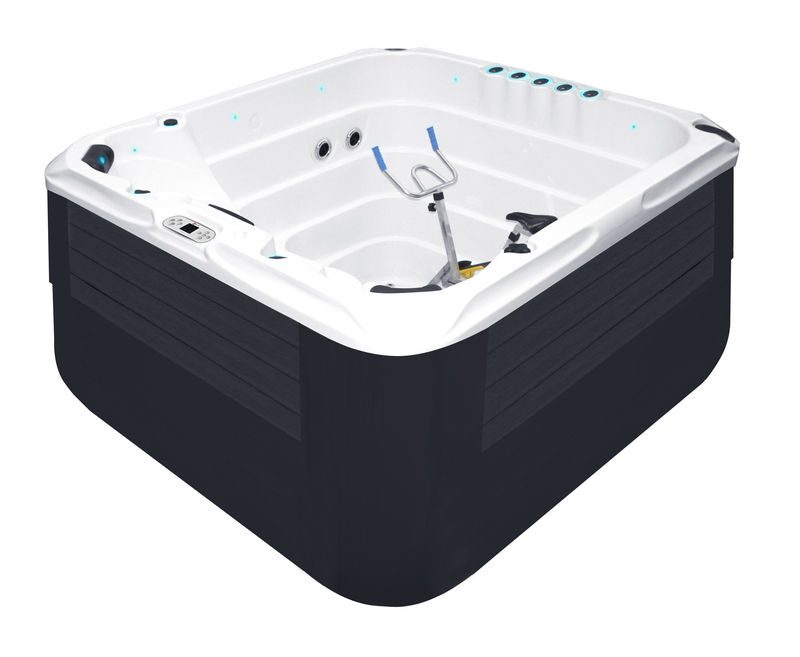 The Exercise Spa provides a variety of fun and healthy activities for your workout, all in a compact spa in the comfort of your own home. Use the integrated resistance bands or rowing bars to build upper body strength, or hop on the stationary Aquabike for a low-impact, high-performance workout. Carefully positioned adjustable jets generate a current for a personalized cycling experience. 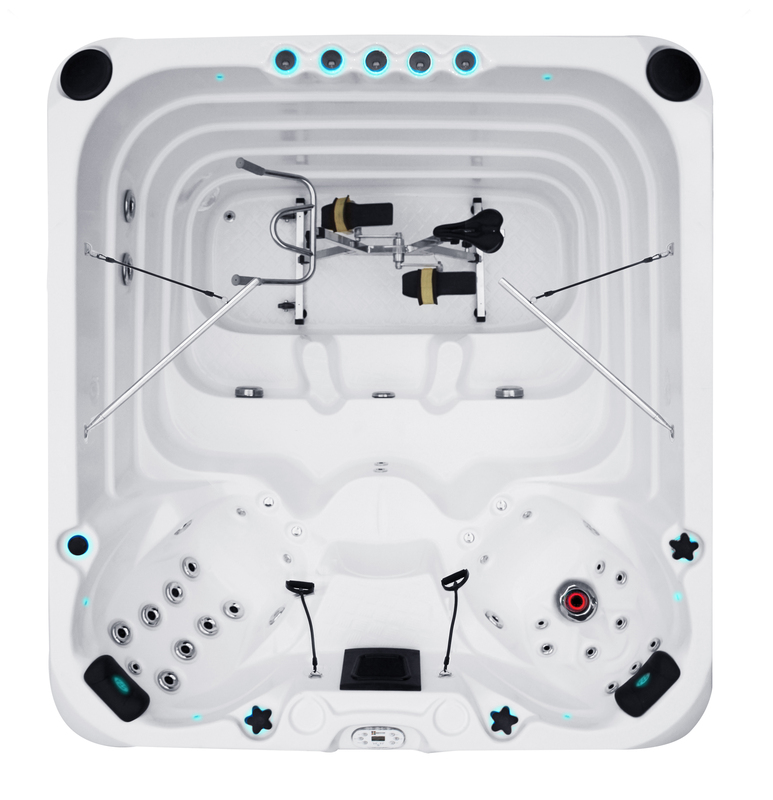 The model also features two seats for an excellent post-workout massage and come equipped with our Aqua Rolling Massage. This is an exceptionally strong, effective, and vigorous massage that pushes water up the spine, starting at your lower back and working its way up to your neck, easing and loosening sore muscles as it goes.